for some of his notes and validation. On April 21, 2010 the San Diego Software Industry Council sponsored the ‘2010 CIO Agenda; Delivering in Changing Times. The special keynote was provided by Ms. Barbara Gomoloski, Managing VP for IT/Finance at Gartner. This event was a chance to hear about the challenges and opportunities facing Enterprise Leaders and meet face-to-face with top CIOs and learn about their plans for 2010 and beyond. Ms. Gomolski is managing vice president in the IT Metrics and Finance team within the CIO Research group at Gartner. She works extensively with clients on issues of running the business of IT, specializing in IT financial and performance management. For the past nine years, Ms. Gomolski has worked with clients to help them set IT investment levels and optimize the return on those investments. She also spearheaded Gartner's primary research in the area of IT spending for many years. Prior to joining Gartner, Ms. Gomolski was a research director at Gartner Institute, a Gartner-owned company that developed vendor-neutral IT certifications. Previously, Ms. Gomolski had a long career as a writer and editor covering topics such as databases, hardware, e-mail and IT services. Throughout her career, Ms. Gomolski has written and consulted for leading computing industry vendors. Mr. Carothers is Senior Vice President and Chief Technology Officer for AMN Healthcare, the nation's largest provider of healthcare professionals for temporary and permanent positions. As CTO, he is responsible for all information technology functions for AMN Healthcare. Bruce Carothers is an eBusiness consultant, helping companies plan and implement their eBusiness strategy. He is the founder and former CEO of Motiva Software, an eChange solution for product design teams. Mr. Carothers previously worked for San Diego-based technology firms Alitum (CTO, 2000-2001), Motiva Software (CEO, 1995-1999), and 4GT (CTO and COO, 1989-1994). At these firms, he launched new products in use by thousands of customers today, negotiated strategic partnerships with firms such as Autodesk and Microsoft Great Plains, and led successful merger and acquisition efforts. Mr. Carothers studied Computer Science at Coleman College, University of California, Berkeley and University of California, San Diego. · Steve Phillpott, CIO Amylin Pharmaceuticals - Mr. Phillpott is CIO for Amylin Pharmaceuticals, a leading provider of drugs for the treatment of Diabetes. Mr. Phillpott has over 20 years of broad experience in information technology and management that includes Fortune 500 and large global manufacturing companies. Prior to joining Amylin, Mr. Phillpott was CIO of Proflowers.com, a high volume e-commerce retailer. Mr. Phillpott was also VP of IT for Global Enterprise Applications at Invitrogen (now Life Technologies Corp). Prior to that, he held various leadership positions at companies including Memec (Avnet), Gateway and Qualcomm. · Debra Jensen, VP/CIO Jack in the Box – Ms. Jensen started with Jack in the Box in January 2005 as the Vice President of Systems Development, and on March 1, 2007, took over as Chief Information Officer. Her focus as Vice President of Systems Development was on timekeeping, labor management and enhancements to POS in the restaurant environment. Before joining Jack in the Box, Ms. Jensen was Vice President of Systems Development for Longs Drugs, and she also worked for The Gap Stores. She has more than 20 years of experience in the technology field, with 15 years in leadership and management. · Giri Durbhakula, VP/CIO Charlotte Russe. – Mr. Durbhakula is the Vice President of Technology and CIO at Charlotte Russe Holdings, a 500+store mall-based specialty retailer of fashionable, value-priced apparel and accessories targeting young women in their teens through early thirty's. Mr. Durbhakula has over twenty years of technology experience, having worked in senior and executive level positions at companies such as IBM, Ernst & Young LLP, Gateway and Intuit previously. He has industry experience across many verticals including Retail, High-Technology, CPG, Finance and several others. His experience spans from across Applications, Infrastructure and Service areas of the technology spectrum. He also has international work experience in Europe, Asia and Central America. He has written many articles and has also spoken at many different forums in his career on topics such as Analytics & Business Intelligence, Maximizing IT and Business Stakeholder Alignment, and Customer Centricity. Mr. Durbhakula has an undergraduate degree in Engineering and a graduate degree in Management from Washington University in St. Louis, as well as Executive Business Management courses from Stanford University. With each, “The smart CIO is looking at how to provide VALUE”. The common theme Ms. Gomoloski offered centers around role changes. From managing resources (“IT enables the business”) to creating results (“IT contributes to the business”). Final thought she added was that 54% of CIOs admitting there is a skills problem but they don’t have a plan to address it. Therefore, a ‘skills plan’ for obtaining the right resources that produces more innovation and growth is needed. At the conclusion of the keynote address we moved to the panelist presentations. Challenge: How do we balance internal and external capability to better obtain both productivity and innovation? About Amylin: Amylin is a pharmaceutical company whose primary markets are diabetes and obesity. In America, approximately 20 million people have diabetes and there are over 3 million deaths a year from diabetes or diabetes related issues. A correlation also exists between diabetes and obesity whereas a good portion of people who are obese end up developing diabetes. And, while diabetes treatments might help diabetic patients, there are side effects. One is weight gain. Amylin’s addresses this problem with products that treat diabetes while allowing the patient to control and potentially lose weight. An important point to bear in mind re: Amylin is that while its margins might be high, the products they developed took over 17 years and almost 2.5 million dollars to bring to market. Therefore, if Amylin can shorten the timeframe and reduce cost to bring drugs to market, they can deliver more drugs thereby improving more people’s lives. This impact’s IT, since the IT Department is being asked to look at how much more it can get done for the business through partnerships and other improvements. For example, recently Amylin partnered with a Japanese company to help move their obesity pipeline forward. By optimizing internal and external capabilities through these types of partnerships and by leveraging technologies such as cloud, SaaS, etc., IT helps enable business momentum and reduces costs of doing business. Business Priorities: For Amylin as with many companies, the role of IT is changing in response to today’s changing business model. A key aspect of this change focuses on establishing a balance between productivity and innovation. Part of addressing both is looking for ways to determine how to leverage internal and external resources used to support business productivity and innovate. The Amylin team references two concepts to help illustrate this point. They are from the book ‘The New Age of Innovation’: Driving Co-Created Value through Global Network by C.K. Prahalad and M.S. Krishnan. The first is the concept ‘R=G’ or Resources are Global. Specifically, you don’t have to own the resources yourself to get work done. The challenge is figuring out, what resources should be owned internally and which should not. Amylin’s addressed this challenge head on developing their own capabilities and processes for managing internal and external resources. Amylin’s desire to move in this direction required a shift from a silo approach to application management (for example, from owning a Siebel COE, JD Edwards COE etc.) to identifying which applications can and can’t be used when adopting the new virtual approaches of doing business. This approach helps IT understand customer data and process management more than the specific application skills involved since it requires a better understanding of customer data in a virtual world when it’s moving across dozens of different companies. Common to each is ‘The Budget’. And, one of the first steps Amylin addresses when crafting a budget is to look at benchmarks. However, when looking at benchmarks scrutiny is necessary since benchmarks are often used as data points. For example, companies at the same benchmark may not be providing the same efficiency and innovation. Therefore, the more IT can shrink the ‘Keep the Lights On’ costs of doing business or KTLO (cost of steady state IT), the more money IT can free up and put back into the business for innovation. The resulting goal is to look at how to become more efficient with KTLO spend. Budgets: For Amylin, the starting point for developing a virtualized organization, involved obtaining a deep understanding of the budget. This was not approach in the usual way of addressing how much does IT spend on people or maintenance but rather it involved building out models that showed what IT spends on any given service. A Pareto analysis of budget expenses was done and the term ‘service’ included everything in the budget used together to formulate the service. For example, the email service may have included the costs of the Exchange server, Blackberry server, Spam software, etc. By adding all the costs of the combined ‘services’ (e.g., email, web, reporting) the total IT budget is calculated. This approach also includes the ability to list services in order precedence. For example, a descending list of most to least expensive services gives the business the ability to see which ‘service’ is the highest cost and take actions (if appropriate) to reduce those costs. The transparency of this approach is an inherit motivator since business stakeholders strive to help reduce the cost of the service(s) they own when viewed in this manner. No service owner wants to be the one whose service is at the top of the list. This result of this approach includes a drive to good behavior when managing costs of services. · What can be virtualized? · What can be done more efficiently? Not everything is an appropriate use case for the cloud or to leverage externally and only after the filters are applied does the build out of the virtualized data center begin. IT Delivery Framework / Value Proposition: To effectively balance internal and external capabilities, the option to buy or expand the data center or live within existing means is considered. Therefore, before attempting to leverage technologies such as cloud, SaaS etc., the IT team first leverages what it has internally (e.g., VM or internal private cloud etc.). This approach is call “optimizing the core” and is done before moving to external alternatives. The strategy when “optimizing the core” is to first go to the business and ask what the business problems are they are trying to solve? Then, exam what tools already exist that may help solve those problems. The team approaches these questions knowing there probably is no ‘one tool fits all’ solution. As a result, a toolbox of virtualized services is built and when the business indicated they want to do X or Y, the virtualized toolbox is used to determine which tool(s) is best for accomplishing X or Y. Trusted cloud (FDA validated applications) which is “SOX on steroids” for Amylin is a fifth category or common theme also important to the business. Innovation: Where to start when attempting introduce something new is sometimes tough because of peoples resistance to change (“it’s not what we’ve done before”) or amount of change management required. To overcome these obstacles, the head of IT leadership started by building a server with SQL on it in about 20 minutes at the EC2 facility. Once other team leaders saw this, they moved quickly to get more involved. Once the staff got more familiar with the technology and its capability, they were asked if the applications in the portfolio were a good fit. Initial responses were no for various reasons and this continued until the question was approached from a differently. What does work? The teams came back with approximately 4-6 application that would work. As mentioned previously, since not every use case is appropriate for the cloud, providing the environment where the teams could learn, play and experiment allowed for additional growth and understanding. As a result, today when the business requests IT help them solve a problem, IT and the business are much more knowledgeable about the resources they have available to help solve that business issue or problem. The final result, both are in a better position to provide their products and services to their customers and do so through innovation and reduced costs. Challenge: Jack in the Box has been in a cost cutting mode, long before the 2009 recession began. Yet, the IT Department has to provide innovation and must do everything it can to reduce costs. About Jack in the Box: Jack in the Box is a restaurant company that operates a franchise of Jack in the Box restaurants. Headquartered in San Diego, California it has 2200 restaurants in 19 states and also owns a Mexican restaurant called Qdoba out of Denver, Colorado. With its 29 thousand employees and 90 plus franchise operators who have approximately another 29 thousand employees, Jack in the Box serves both franchise and company restaurants with over 40k employees total. Unlike some of its competitors that use up to 20-30 linked Point of Sale (POS) systems, Jack in the Box uses a single technology program across all its restaurants. With one network, it uses satellite technology which works especially well when communicating to remote locations. Jack in the Box is a low margin (approximately 1%) business not including the franchises. Currently, they are in the middle of a refranchising strategy. Five years ago the business was 18% franchise and today its 48% moving to 80% in the next few years. This model means Jack in the Box has less top line revenue. However, it’s considered higher quality revenue since the franchisees are dealing with food cost issues, labor increases, health insurance and other increases. Jack in the Box’s CIO reports to the CFO which is a good relationship for this type of business. When the CIO can reduce server, printer, copier costs etc., (KTLO costs as previously referenced) the CFO recognizes the value and savings from the reductions and works with the CIO to put saving back into the development of innovative solutions. Business Priorities: The IT teams focus is working with the two types of customers: people who buy burgers and franchisees who buy restaurants. Therefore, when selling restaurants they make sure they are a ‘franchise of choice’. This is done by showing that Jack in the Box has the strategic advantage over competitors when leveraging technology to manage their restaurants. The ultimate focus is on improving the guest experience, running efficient restaurants and facilitating communications across the 90 franchises. Innovation: Innovative technologies such as ‘Coke Free Style’ are examples of improving the customer experience. For example, this system provides flavor interactive freestyle soda for customers and is very popular with teenagers. Other innovative technologies include: Self Serve Kiosks located in approximately 200 restaurants. These systems don’t only reduce labor, they also increases revenue since people order more with kiosks. Social Media such as Twitter and Facebook are used to interact with customers and the ‘Jacks Secret Society’ was created to allow people to sign up and give loyal fans access to coupons and other offers. Additional innovative technologies that Jack in the Box is looking at include: digital menu boards, signage and mobile ordering. IT Delivery Framework / Value Proposition: In the last 18 months Jack in the Box has moved away from Lotus Notes and moved towards deeper integration with Microsoft technologies (Active Directory, Exchange, Outlook, and SharePoint etc.). Adopting these well knows technologies make it easier for Jack in the Box to do business with customers familiar with Microsoft products. Their focus has also been on portals and business intelligence. For example, their franchise portal helps reduce calls and provides customers with flexibility to access information interactively. The corporate Internet portal is used to serve up information to employees and provide an employee online collaborative environment through SharePoint Team Sites. In January 2010, Jack in the Box delivered a new release of their Business Intelligence (BI) Portal for their franchisees. It was initially launched at the Torrey Pines Hilton, where approximately 90 operators experience the portal’s different sessions (Marking, Franchise Operations, IS). One of the popular sessions was the Business Intelligence Theft Protection System which provides not just theft reporting but also a drill down capability into individual restaurants. This allows franchise owners etc., to observe employee and customer interactions. As a result, BI is very valuable to the business and the business has more demand for additional functionality. It’s worth noting that the BI group started with 1 Full Time Employee (FTE) five years ago but as other areas of IT improved (consolidations; applications not needed removed, etc.) additional employees were moved to the BI group. Today, 5 FTEs staff this team. Relationships with staff and vendors are important and the Jack in the Box team leverages both to be innovative. For example, vendors have to prove business cases before the IT team buys their technology. Since the focus is always on the customers, sometimes the phrase ‘good enough’ is used. This means not adopting the most highly elegant solution rather going with the solution that delivers and delivers quickly. The IT team meets often to ensure the vision is clear and everyone is working on what they should be working on. This ultimately ensures the teams work collaboratively across the company and deliver the best product and service to their customers. Challenge: The IT team at Charlotte Russe must be focused on business and IT priorities from a business prospective (example; innovations and the IT budget) at all times as the company is transforming in many areas at once. About Charlotte Russe: Charlotte Russe is a growing, mall-based specialty retailer of fashionable, ‘trend-right’ value-priced apparel that has been around for 30 years. The key demographic is woman ages 16-30. Charlotte Russe has been changing its themes and the look of its stores from a less cluttered look to a more organized or sophisticated style. The company was public for a long time and went private in October 2009. Priorities: In last six months Charlotte Russe has repositioned their brand. They are broadening their demographics and changing every stores look and feel (product, color, and lighting etc.). Almost anything that can be done with the store is being done. And while all this is happening the business is growing and the IT team recently given a new edict to start a new campus in San Francisco had the facility up in running in 60 days. This was no small feat when considering the normal lead times required to provision high speed data lines and order equipment. The Charlotte Russe Executive Team has been focused on PR, new branding and a new image; all being done in terms of repositioning and growing the new brand. For people the focus is on increasing sales productivity, margins in some areas and rightsizing the store fleet after the 2009 recession. There are signs of an uptick and Charlotte Russe has recently develop, hired and recruited new talent to their team. They also are investing in areas where they may have underinvested in the past. All three illustrate how the CIO World View of IT and how the IT team deliver to meet the mission. * whether business or systems the focus is on how to get more with what is available without having to buy new. In 2010 Charlotte Russe is upgrading a lot of its infrastructure, adding high availability for key applications, and managing requirements for PCI Level 1 (their PCI on steroids). They are also keeping their network secured and performing upgrades to many applications (ERP, Settlement, etc.). All of this requires a good deal of focus for the IT team. · Building the development of people. Innovation: A cross functional IT Steering Committee has been stood up and is working really well. The CIO chairs the committee with heads of most other departments participating. Mandatory business cases have been instituted and include metrics based tangible results where the finance team holds the sponsoring business unit executive responsible for the metrics and ultimate outcomes. · Web 2.0 (in place for last 1 ½ years) to interact with customers on MySpace, Twitter and Facebook creating possibilities where customers can be champions of the product. They also initiate contest and opportunities where customers are incited to provide feedback. · Cloud computing; one of the first medium size enterprises to hosted Exchange in the cloud. SharePoint, their store portal and their corporate portal are all in the cloud. Advance optimization capabilities also exist in the cloud whether its model stock allocations to ensure the right allocations to the right store or right size for the outfits allocations. · Collaboration: Office Live and Video Conference Meeting are used. The latter used more since the new San Francisco office came online. · Cost reductions; include reductions in some areas of the budget, re-negotiated audio conferencing, telecommunications, instituted power saving opportunities and virtualization. All have helped drive down costs and positively affected the bottom line and the focus for 2011 is mobile POS; mobile commerce and a loyalty program. Budget: The IT Department’s budget is higher in 2010 for two reasons; adding headcount (but at the same time remaining lean) and operating budget (maintenance true ups, etc.). While capital is lower and putting priority on where the capital dollars are being spent is in focus the overall net-net is 10.8% higher than last year. Key Themes: In the spirit of staying relevant in the areas describe earlier under World View of IT, the IT team must be a Strategic Partner. Therefore, the IT team continues to enable strategic goals ensuring they are realized, focuses on getting the job done, focuses on priorities, optimizes productivity within constraints (dollars, resources, time) and strives to communicate effectively on a daily basis. This includes collaborating with stakeholders, managing expectations and being transparent in communications. 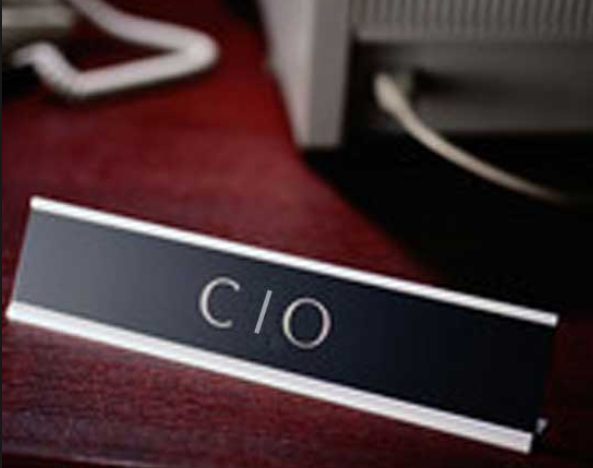 The CIO is analogous in some cases to a Cruise Director where in a unique position in the company the CIO has an effect on every aspect of the company giving it a unique perspective of influence in very strategic ways. Therefore, to succeed, the IT team must remain close to the business and understand where the business is at all times as it transforms itself in today and in the future.